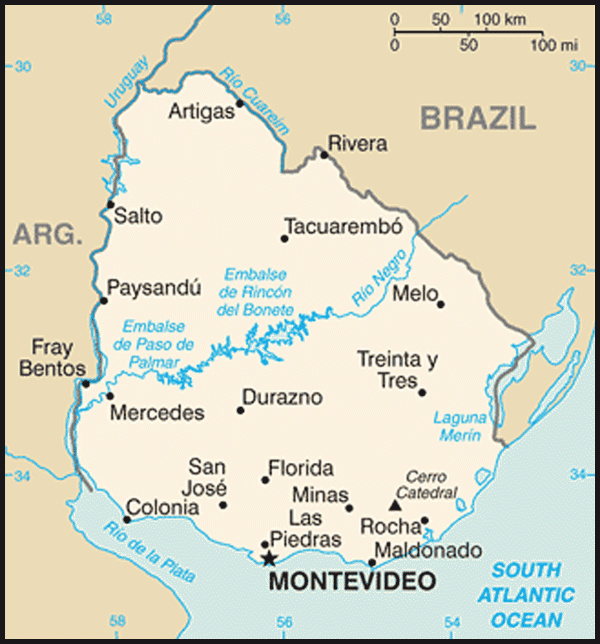 Cities: Capital: Montevideo (pop. 1.633 million; 2009 est., CIA World Factbook). Nationality: Noun and adjective — Uruguayan(s). Education: Literacy (2008, UNICEF): 98%. Health: Life expectancy (2010, U.S. Census Bureau) — 76 yrs. Infant mortality rate (2009, UNICEF) — 11/1,000. Work force (1.6 million; 2010 est., CIA World Factbook): Agriculture — 13%; industry — 14%; services — 73%. Branches: Executive: president (chief of state and head of government). Legislative — General Assembly elected by proportional representation consisting of a 99-seat Chamber of Deputies and a 30-seat Senate. Judicial — Supreme Court of Justice. Agriculture (9% of GDP): Products: beef, wool, rice, wheat, barley, corn, soybeans, fish, forestry. 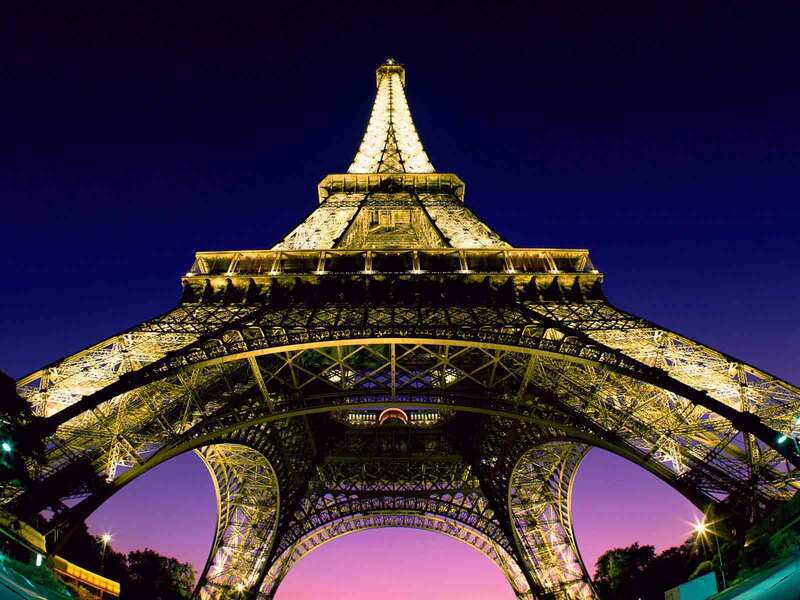 Industry (14% of GDP): Types: food processing, electrical machinery, wool, textiles, leather, leather apparel, beverages and tobacco, chemicals, cement, petroleum products, transportation equipment. Services (2010): Commerce, restaurants and hotels — 14% of GDP; construction — 7% of GDP; other services — 56% of GDP. Trade: Exports (2010, f.o.b. ): $6.7 billion (plus about $1.4 billion in exports of cellulose pulp and beverage concentrates from free trade zones): beef, soy, rice, wood, dairy products, and malt. Exports of services — $2.4 billion. Major markets — Brazil, China, Argentina, Russia, Venezuela, United States. Imports (2010, c.i.f.) — $8.3 billion: crude oil, fuels, telephony equipment, computers and information technology equipment, agricultural machinery. Major suppliers — Brazil, Argentina, China, Venezuela, United States. Uruguay maintains an embassy (http://www.mrree.gub.uy/gxpsites/hgxpp001?7,7,442,O,E,0,MNU,) in the United States at 1913 "I" Street NW, Washington, DC 20006 (tel. 202-331-1313, fax 202-331-8142). Uruguay maintains consulates in Chicago, Miami, Los Angeles, New York and San Juan, Puerto Rico. Uruguay's economy resumed mild growth in 2003 — with a 0.8% rise in GDP — and has grown robustly since then, with annual average rates of 6.5% in 2004-2008. Growth has been led by private consumption — which followed the recovery in employment and wages — and exports, partially due to strong commodity prices. The global financial crisis slowed growth, but Uruguay managed to avoid a recession and keep a positive growth rate of 2.9% in 2009. Robust growth of 8.5% was expected for 2010, and the Government of Uruguay forecasts annual growth of about 4.0% for 2011-2015. Uruguay does not receive substantial amounts of U.S. foreign assistance due to its relatively high level of development, but the country does receive military assistance designed to provide equipment and training to improve Uruguay's interoperability with U.S. and international peacekeeping forces. According to the Congressional Research Service, the United States provided Uruguay with $238,000 in International Military Education and Training (IMET) in FY 2008 and $250,000 in IMET in FY 2009. President Barack Obama's administration requested $1.7 million in U.S. assistance for Uruguay in FY 2010, including $1 million in Foreign Military Financing and $480,000 in IMET. 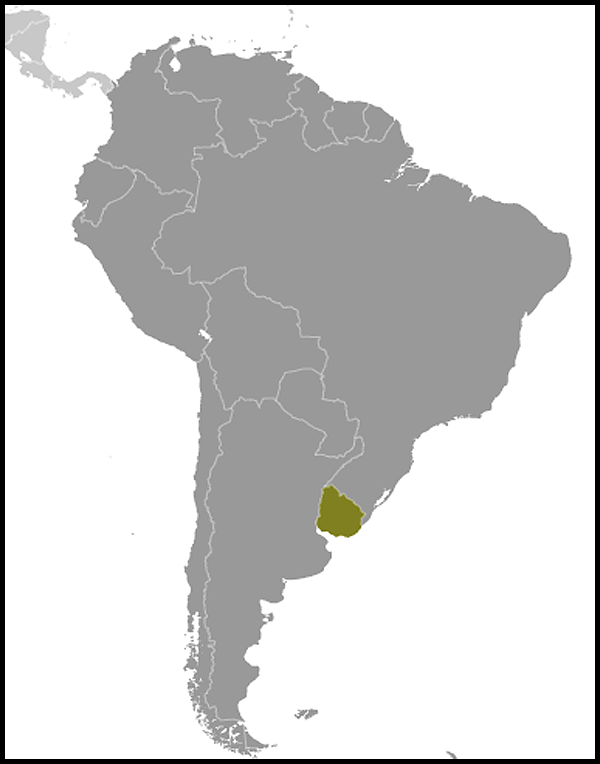 A U.S. Treasury Office of Technical Assistance (OTA) program that started in 2009 provides assistance to several Government of Uruguay offices. In October 2010, OTA's Deputy Assistant Secretary for Technical Assistance Policy and Uruguay's Deputy Presidential Chief of Staff signed a bilateral agreement to combat economic crimes.